Our Queen Bees, Nucs and Full Working Hives are reared in our own apiaries, on the edge of the North Wessex Downs, a very varied and diverse landscape. Our core beekeeping activity is the production of strong, healthy and resilient Buckfast Nucleus Colonies (Nucs) and Mated Queens offered for sale to beekeepers throughout the UK. Good quality Nucs that rapidly build into healthy productive colonies are always in high demand, which generally exceeds supply. We continue increasing the number of Nucs and Mated Queens we have for sale in an effort to meet increasing customer requirements. Calm and gentle bees are a delight to work with. This is one of our highest priorities in selecting breeding stock from which to produce our Nucleus Colonies (nucs) and Queen Bees. Bees which forage actively in poor weather conditions is also a valued trait, allowing our honeybees to produce a sizable honey crop, even in a difficult year. We like honey, so that’s important! 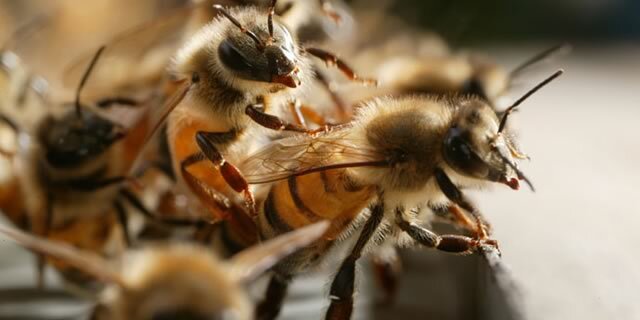 We hope that you enjoy our website, but more importantly, our Honey Bees!